If you are interested in where the mobile industry is heading in the next few years, be sure to book your spot at the 2018 Mobile World Congress in Barcelona. The event will take place from Feb. 26 to March 1 at the Fira Gran Via and brings together vendors, speakers, and advertisers in the mobile technology world. Start-up businesses, future car concepts, knowledgeable speakers, and entertainment are all a huge part of this forward-thinking event. People come from all over the world not only to showcase their own technology but to learn more about the future of other technologies. Last year more than 100,000 people attended the MWC, which included 2,300 exhibits and 3,500 media members from around the world. Hundreds of new and improved technology and software were on display with dozens of speakers to show the attendees and the world where we are heading as a mobile society. Learn more about the products you know and love, how they plan to improve in the future, and what you can do further collaborate with these ventures. 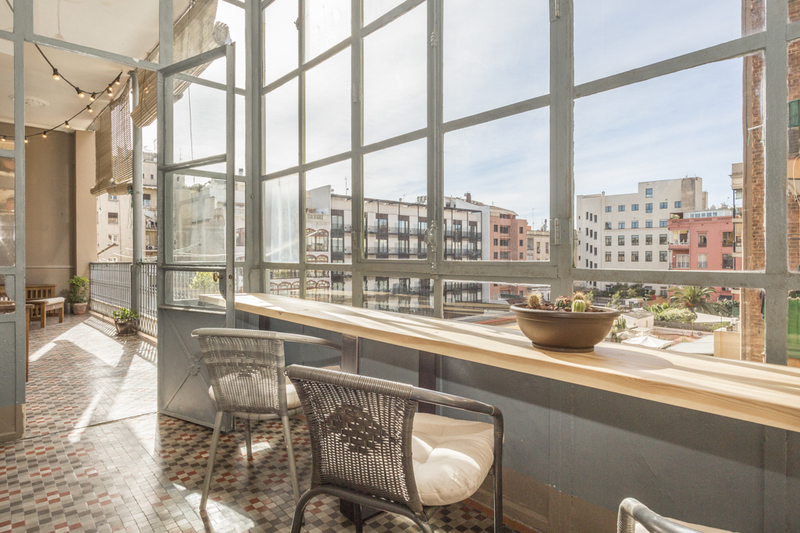 If you plan to visit Barcelona for the MWC, be sure to not only register now online but to also find a rental villa or property where you can stay for the duration of the event. Use your attendance as an opportunity to also live like a local in a holiday home just outside the city where you can decompress after long days at the conference. 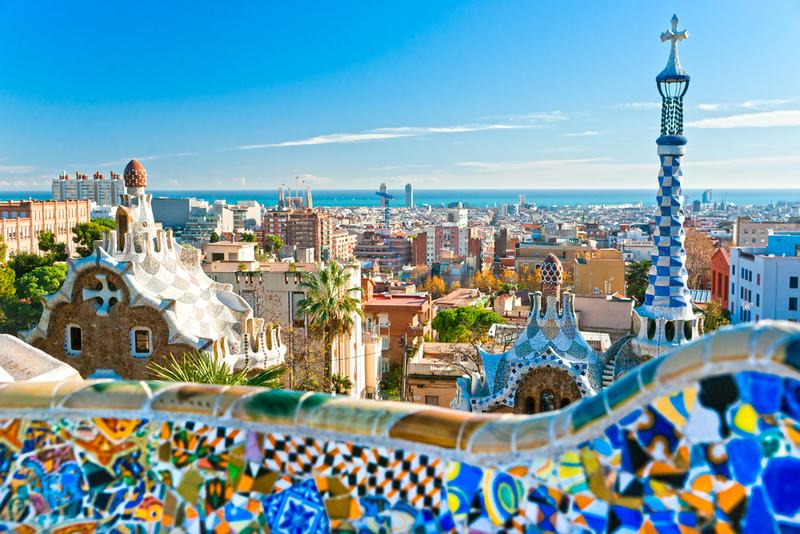 While in town and when not in meetings or checking out the exhibits, enjoy the sights and tastes of Barcelona Get to know the culture of Catalunya and meet other technology-loving people like yourself. Barcelona is packed with places to visit if you feel like accepting some culture into your life. The amount of world-class art galleries and museums the city has to offer is staggering. Capture your imagination in the National Museum of Modern Art of Catalunya or if you have a penchant for all things maritime with a dash of Gothic architecture, head to the Maritime Museum. Wherever you wish to visit during your stay, there is a place to suit your tastes close to your Barcelona accommodation. 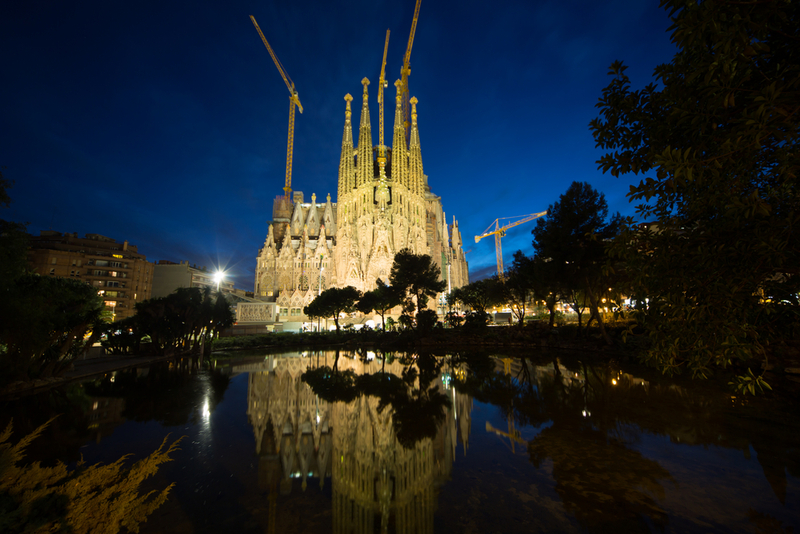 This is one of the world’s grandest museums, showcasing a variety of Catalan artwork that ranges from the Romanesque period to Gothic art and Modernism. This museum tells the tale of the ancient city of Barcelona and explores her drainage systems, public baths, and even wine storage areas. You can also revel in Palau Reial, a former Royal Palace where you can admire the 14th-century banquet hall. In days of yore much of Barcelona’s prosperity was dependent on trade from the sea. These ancient Gothic shipyards give a sense of the adventure and history of the area from the age of rafts to steam. There is also a full-size replica of the flagship belonging Don Juan of Austria. The story brings to life the existence of volunteers, prisoners, and slaves who lived aboard the ship. The expanding art collection at MACBA begins in a Gothic chapel and extends across the plaza into a glistening building of white. This museum showcases the best international, Catalan, and Spanish contemporary works of art. In addition to the temporary collections, there are also 1,600 pieces in the museum’s own collection, so they have to rotate the artwork. If you have seen Gaudi and wish to delve deeper into the architecture and artwork of other famous Catalan visionaries, here is your chance. This foundation experiments with Catalonia’s Modernist art for which the city is renowned. The building itself is a delight to behold, with Tapies designing the structure to reflect his own mind at the time. Tapies’ political messages are hidden in his works; they are not easily decipherable but admirers can try to discover the meanings behind the collection. Wherever you plan on visiting during your stay, there are museums and galleries on every street corner of the city. 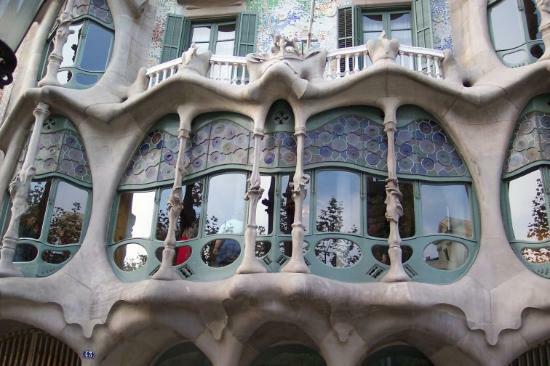 You are sure to find one close to your Barcelona holiday rental that fascinates and mesmerizes. Catalonia´s list of UNESCO World Heritage Sites has been growing tremendously as of late. The sites are protected as areas and events of cultural interest. 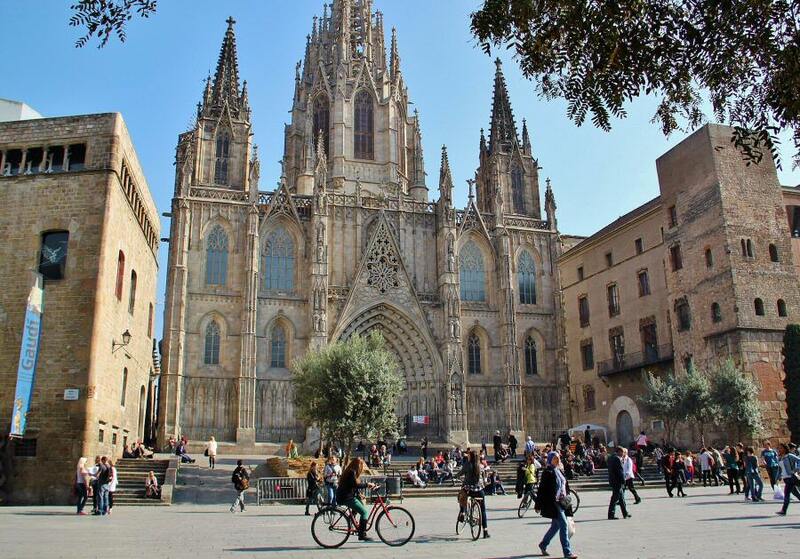 From concert halls to sculptures to festivals and monasteries, here are a few of the most popular sites to visit as day trips from your Barcelona holiday rental. This Gaudí masterpiece on Passeig de Gracia in the centre of Barcelona speaks for itself. The event space, museum, and architecture make this one very special World Heritage Site to visit in the city. Close to your Costa Dorada holiday rental lies the glorious and well preserved Roman Amphitheatre in Tarragona, showcasing outdoor events and with stunning views of the Mediterranean Sea. Devils Bridge and Aqueduct is an unspoiled structure close to Tarragona on the Costa Dorada. Walk across and glance into the valley below and imagine what it was like to live in the time when this aqueduct and bridge was fully functional. Just up the street from Casa Batllo lies another well-known Catalan modernisme piece designed by Antoni Gaudí between 1905 and 1911. The undulating curves, use of experimental materials, and unique design make this one of Barcelona’s most popular and most photographed World Heritage Sites. Montseny Natural Park has one of the most beautiful landscapes in Catalonia that has inspired poets, writers, and artists for centuries. The park attracts in access of 2 million visitors every year. This beautiful park is filled with curved structures, colourful glazed ceramic tiles, and monuments and offers incredible views of the park and the city. 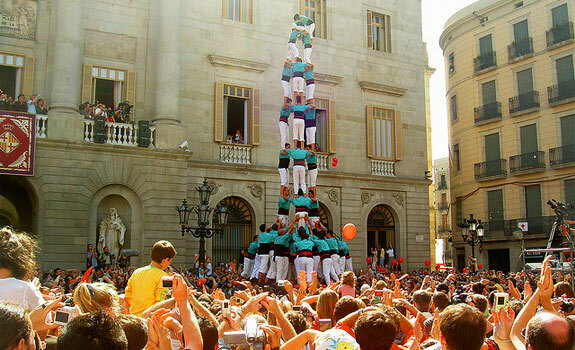 The 10-level human towers are a big part of Catalan culture; the festival is held each year in town squares throughout the region where groups of men and women stand on each others´ shoulders creating a human tower as high as 10 people. Whether you wish to see festivals, Roman settlements, architecture, or natural parks there is always something incredible to see close to your Barcelona apartment or your family villa on the Costa Dorada.